Future launch dates for the new Maserati Granturismo and Grancabrio 2+2 GT cars have been swapped with the two-seat Alfieri sports car, Autocar understands. The Granturismo and Grancabrio are now slated to be replaced in 2018-2019, followed by the Alfieri in 2020-2021, as Maserati rejigs its forward planning. 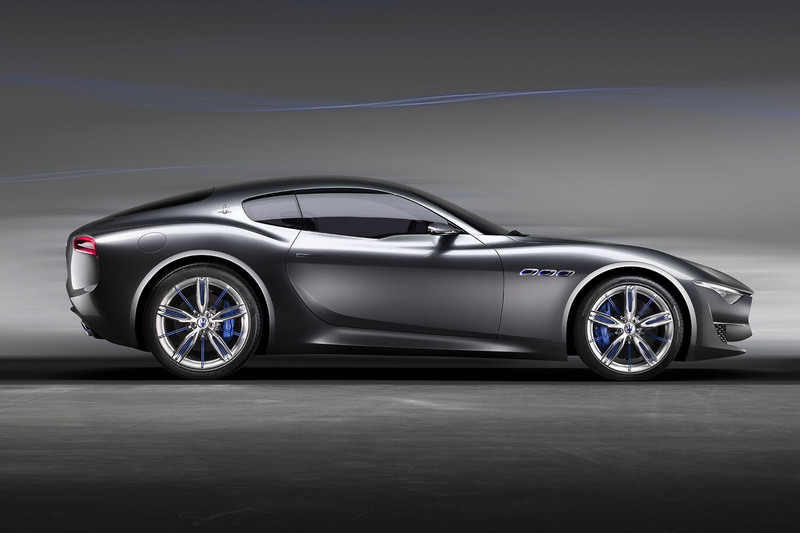 At one stage, the Alfieri, shown as a well-received concept at Geneva in 2014, was scheduled for a 2016 launch and the future of the Granturismo was in doubt. However, Giulio Pastore, general manager of Maserati Europe, has told Autocar the Granturismo and Grancabrio are vital elements of the Maserati line-up. It also looks as though the future of the Grancabrio is now assured. A previous product plan had it ending production and being replaced by a soft-top Alfieri. Key decisions on the platform and styling of the Alfieri are also yet to be taken, Pastore said. Maserati could leave the design sign-off until 2018 for a 2020 sales launch. The Levante SUV took 22 months to get into production after it received the green light, Maserati’s exterior design chief, Giovanni Ribotta, told Autocar. Ribotta also designed the Alfieri concept and the Ghibli and was part of the design team on the new Quattroporte. Pastore also ruled out a compact SUV that could be positioned below the Levante to tackle the Porsche Macan and Range Rover Evoque. The impending Alfa Romeo Stelvio SUV is expected to take that slot in the Fiat Chrysler Automobiles (FCA) line-up. “We have other group cars and companies that will occupy that [compact SUV] territory,” he said. Maserati now has its fullest model line-up yet and must deliver on forecasts to sell 75,000 cars a year by 2018 and contribute profits to the FCA bottom line. The Levante is being launched in the UK this week with a single engine option — a 275bhp 3.0-litre V6 diesel — and two trim levels: Luxury and Sport. Prices start from £54,000. However, Pastore made encouraging comments that the Ferrari-derived 3.0-litre petrol V6 from the Ghibli will be launched in the Levante. “There is a strong likelihood. I have a very good feeling about that,” he said. The top-spec Levante has optional Zegna trim developed in conjunction with the Italian design house. Zegna trim features a rare automotive application of silk on the seats and door panels, adding an unusually smooth texture. Maserati and its suppliers have spent a couple of years developing the luxury material for automotive use, which involves new manufacturing techniques to ensure longevity over a vehicle’s long lifespan. In conjunction with Zegna, Maserati is launching the Levante at Harrods in London with a customer event for around 40 potential new owners. Maybe Tata has paid the cash-strapped Italians to park it offsite for a while. I am not convinced FCA's premium car strategy is particularly cohesive. You want a competitive, good-looking, Italian saloon: then Ghibli or Giulia. You can differentiate on price (and possibly through Alfa/Maserati's patchy UK dealer network) but would you buy a Ghibli diesel over a Giulia all because you must have a 6-cylinder over a 4-pot ? I'd suggest that these stable-mates actually compete with each other rather too much. Plus, we have the Giulia QV price-bracketed alongside Maserati, but presumably Maserati is more 'comfort-orientated' ? I think this is a tad confusing, which probably explains why the larger UK dealer groups may well hesitate about selling them through different dealerships. I buy a Maserati from a Ferrari dealer but I get a QV from an Alfa dealer that might also be selling Skoda under the same roof - even though the QV is priced at £ 60K. Should this not be a Maserati in the first place, and be damned with Alfa's glorious past...which most are blissfully unaware of, anyway ? I get that FCA need for economy of scale for development and manufacturing but I still think their brand- and customer-experience planning, with the resultant 'delivery to market' experience, is messy and confused. Result: lacklustre sales. Hi BertoniBertone, I think this type of mentality is what has held back FCA in recent decades. Like not having performance Lancia in order to not tread on Alfa's toes. Fact is, for every 100 QV you sell, you may have fewer Ghibli, but probably not 100 fewer. Most people won't start with "I want an Italian car" but "I want a sporty saloon"; each model will also steal sales from BMW or Jag or Audi... you get the point. In the end the net result is still favourable for FCA. Just look at VAG, the Octavia VRs and Leon Cupra and Golf GTI or R and Audi S3 effectively compete with each other (and the Scirocco and the hot Beetle, if there is such thing, and possibly the TT), but they crucially increase the chance that buyers choose a car from the Group as opposed to a Focus or Megane. I am not sure the Golf or S3, on its own, would sell as much as the four models combined, and that's all that really matters. Of course the brand managers and model managers will have targets of their own, but what really matters is the shareholder (Group) perspective. I get your point Giulivo....but only to a certain degree if you're going to use VAG as a comparison. Taking Audi as an example: you can graduate from an A1 or A3 through to an A8, taking on a Q7 or RS6 Avant along the way: all sold and supported under one roof. If you've outgrown Audi, then you'd conceivably 'cross the road' to the Bentley outlet. I'm not sure you've got that linearity within the Alfa brand to merit you 'doing a Bentley' and transitioning over to Maserati from, say, a QV. In reality, it seems to me, the 'marketing differentials' between AR and Maser are a bit artificial. The UK is a pretty open and agnostic market and I think Fiat realised long ago that Lancia (though much loved with an esteemed history) was never going to take on a 'sister brand' dynamic like Skoda or Seat does to VW or Audi. That's why it's as dead as a dodo - unfortunately. This is FCA's problem. If Ferrari is to be kept separate then I'd amalgamate Maser with AR and put meaningful resources not just into engineering 'across the brands' but into the 'customer experience' at network level since whilst I'd contemplate spending M4 money on an Alfa I'd take one look at their UK dealer network and walk the other way. The German premium brands - in particular BMW - realised long ago that the 'customer experience' is just as crucial as the engineering. Reminds me a little of the situation with the original 2000 F-Type concept - create a gorgeous concept car with the intention of building it, but have it put back and back in production and postponed until the styling was no longer current and the whole thing goes on the back burner and has to be redesigned for the newer design language anyway. Shame as this was a stunner!